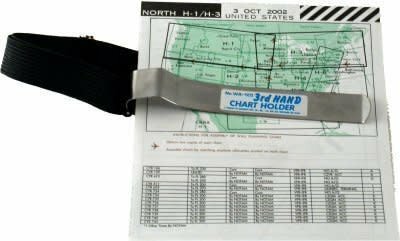 Strap this metal spring band to your leg and insert any chart, flight log, checklist, or other item that you need and seems to always float away prior to needing it. 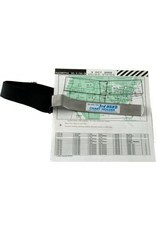 A must item for those that have lots to manage and a full kneeboard. Measures 5 1/4" long with a 16" x 3/4" adjustable elastic leg strap.